Just a quick update on something I find to be quite enjoyable. 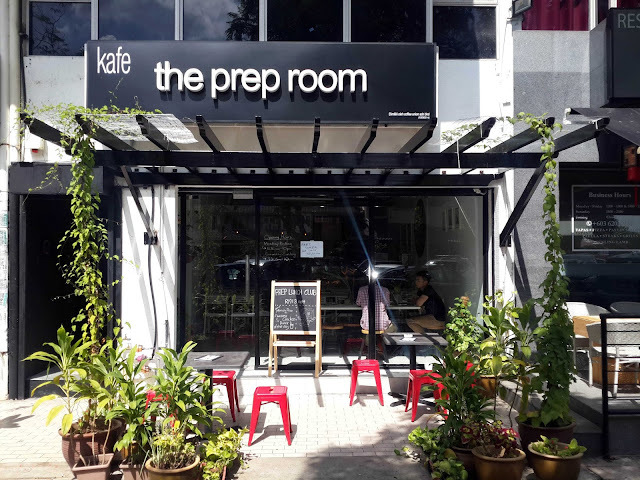 The Prep Room, one of the latest cafe to be opened in Desa Sri Hartamas, is definitely a place I suggest visiting. It is also an incredibly white cafe, so taking hipster-ish photos for those Instagrammers out there shouldn't be much of a hassle. Anyway, let's get right to it. Something a little different - a Thai twist if you will. This plate of aglio olio is packed full of flavour from all the spices used. 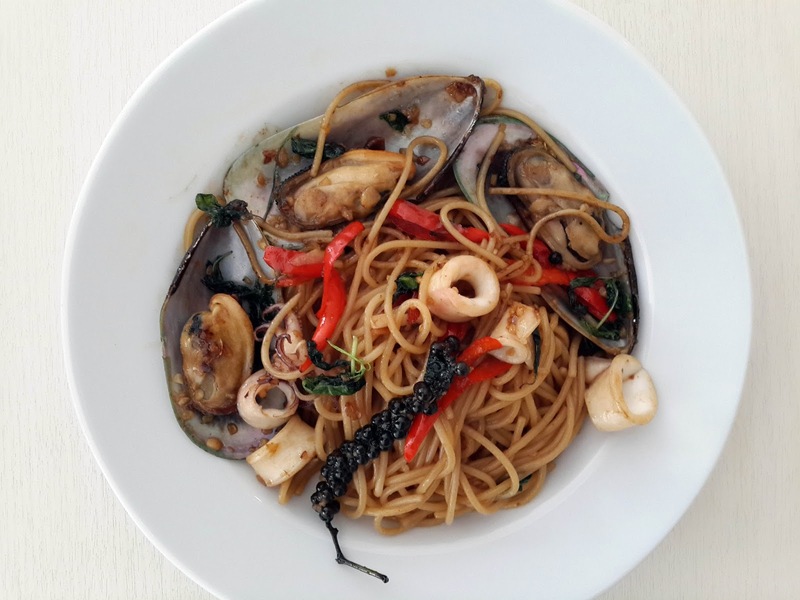 The squid and mussels are cooked perfectly, where neither or overdone or underseasoned. The leftover black thing there is Thai black pepper, and it gives quite a good amount of heat to the pasta. Lovely! Though some may disagree, I actually enjoyed this very much. 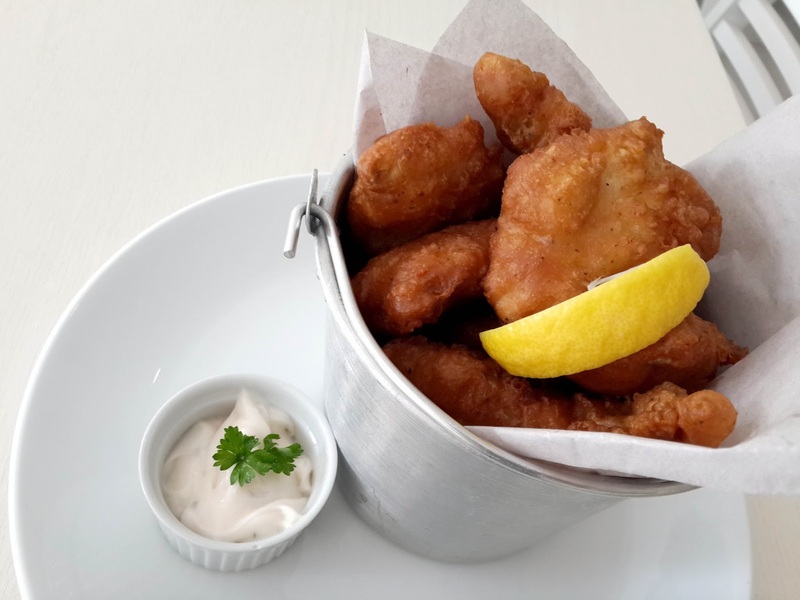 Instead of using traditional dory like most places, they actually chose to go for 'ikan tenggiri' instead. Which makes the fish and chips a little chewier and denser. But, despite that I still enjoyed it very much. Loved the thin batter as well. 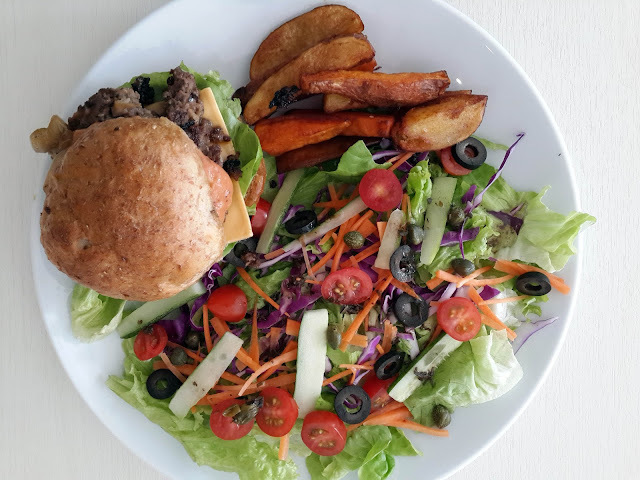 Last but not least, a classic beef burger with a slight twist (and a whole lot of veggies). The burger comes with a homemade 100% beef patty topped with caramelized onions, cheddar cheese, coral vegetables, pickles and finished with their own secret sauce and served on a homemade bun. On the side, you'll get wedges instead of fries which is nice. Overall, enjoyed the juiciness of the burger along with the great flavour it comes with. All and all, The Prep Room has some of the best foods in town. Their dishes may not stand out much in terms of presentation, or even the choice of ingredients used. But what I can be sure is the taste and quality is definitely there. Another important thing to note is that most of the sauces, bread and pretty much everything else is made in-house, from scratch. They will try to minimize the use of ready-made products in order to fight the expansion of costs and of course, retain the quality as well. So if you're coming here, do not be worried by that. Mon - Fri, 11.30am - 10pm. One of my favorite cafes too! Lovely food and coffee they have.